There are big plans brewing in Mohill, locals are being pro-active in trying to rejuvenate the historic town and make it more attractive to live, work, learn and visit. 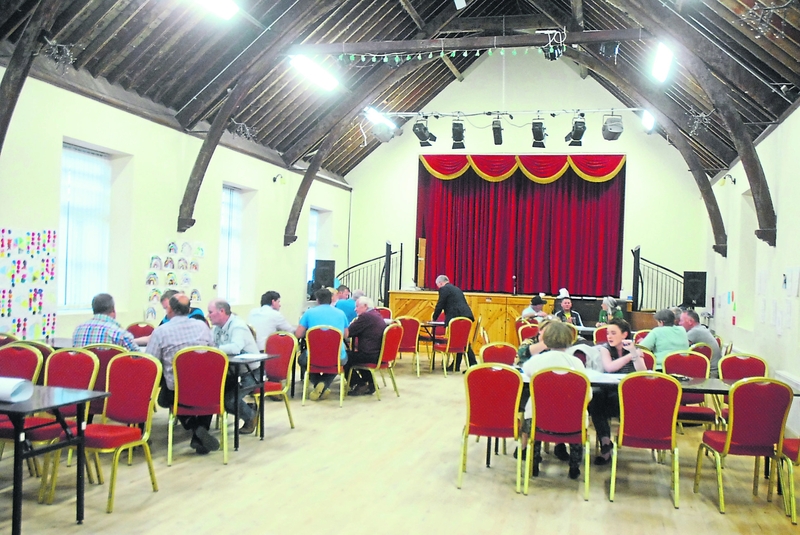 Over one hundred people have had their say at workshops held in the Canon Donohoe Hall about the Mohill they want in the future and a number of additional workshops will be held in the next month before Consultant Mark Conway from Tyrone collates the information into a viable plan. Mohill is producing an Economic Development Plan for the town and also an Energy Masterplan. They have decided to run the two simultaneously and to work with all groups, interests and individuals who want to have their say on the future of Mohill. The Economic Development Plan has received funding under the Towns and Villages Renewal Scheme and Mohill Sustainable Energy Community (SEC) has been granted €20,000 by SEAI to carry out an Energy Master Plan. This energy funding will be used to appoint appropriate energy consultants to the tasks of establishing a baseline of Mohill's energy use, local renewable resources and to create ranked lists of energy projects. Once the Energy Master Plan is complete, Mohill SEC will have access to capital project funding which is exclusively ring-fenced for this programme. The Leitrim Observer attended the workshop in the Canon Donohoe hall last week where locals of all ages, from different sectors and backgrounds discussed and wrote down their vision for Mohill in the coming years. The participants brainstormed about work, community and leisure, education and well being, infrastructure, energy and tourism. Everyone in attendance gets their voice heard and gets to contribute, there were no public discussions in case some people were put off by speaking aloud. John Mannion Manager of the Enterprise Centre said they want “joined up thinking” and to work together with all local groups. Consultant Mark Conway told the paper “Mohill is a good looking town” it has great potential with Lough Rynn Hotel, Lough Rinn rowing and its close proximity to Dromod Train station and Carrick-on-Shannon. Almost 600 children attend schools in Mohill. He said Westport is a shining example of what towns can achieve. He acknowledged that Mohill like many rural towns has an issue with vacant buildings on the main street. He said we need to look at other options and not rely only on retail to fill vacant properties, ideas such as cafes, restaurants and attractions can bring life back to towns. The results of the workshops will be collated and a viable plan formulated by Autumn this year. Watch out Leitrim, Mohill is on the rise.